Read these reviews from our satisfied customers! Reliable service, always available and reacting to your needs. Great people, great service. Security Services of Georgia provided everything we needed to get some new computers up and running on our network. They were friendly, neat, and above all, very professional. I highly recommend them for security and network needs! Technician was on time and very professional. I would recommend Security Services of Ga to all my friends and family. On time and efficient. Right on time, always good communication of work being done which is greatly appreciated. Great experience. Very professional and consultative. Highly recommend! We have a great experience from beginning to end! I was very impressed with the personalization of this company! Great experience with Scott and Josh. They definitely are VERY knowledgable! Great experience from the guys.! They were very patient with me as well as my wife. Between the two of us we literally asked every question imaginable!! Will absolutely tell any friends of ours who might need a security system!! Stellar Service as always. We rarely have to contact our security services team, but when we do they are professional, accommodating and fast. Also, we compared their pricing to the other services and it was no brainer. 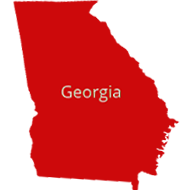 Good, Fast and Cheap are hard to find, but we have it with Security Services of Georgia. John and Crew are great. We had a pretty challenging installation. Things weren’t as they seemed from the standpoint of what was pre-wired. John and Scott did a great job both improvising and doggedly finding solutions to get our system up and running the day we needed it installed. And their pricing was less than the big brands, and I can call the owner directly on his cell phone.